Create an Idaho Lease Agreement with our attorney-drafted template! An Idaho lease agreement is a written legal document between the property owner (generally referred to as the landlord) and the person or persons (generally referred to as the tenant or the lessee) wanting to lease the described property. 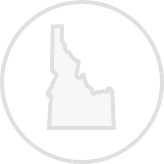 The most commonly used Idaho lease agreements are broadly defined as commercial and residential. Residential lease agreements may be referred to as a standard lease agreement, month-to-month agreement, roommate agreement, lease to own agreement, and a subleasing agreement. The month, day, and the year that the lease agreement is active. The full name and address of the landlord. The full name(s) and address(es) of the tenant(s). The term of the lease. This includes the date that the lease begins and the date that the lease ends. The amount of rent due each month from the tenant and when it is due. How the tenant will pay the rent. For example, rent is payable only check or money order and must be mailed to a certain address. Whether there are any late fees for past due rent. Whether there is a grace period for past due rent. If so, the number of days for the grace period should be listed. The amount the tenant will be charged for bounced checks. The amount for the security deposit. An amount the tenant will be required to pay or that will be withheld from the security deposit if the landlord must hire professional cleaners to clean the property after it is vacated by the tenant. A list of utilities or services that the landlord will pay. A list of utilities or services that the tenant will pay. Whether pets are allowed. If so, whether there is a pet deposit and if there are any pet restrictions. The name and address of the landlord or any authorized agent for the purpose of legal notices. The dated signature of the landlord and the tenant(s). What Disclosures Belong in an Idaho Lease Agreement? Idaho state law doesn't require any specific disclosures that must be provided to the tenant by the landlord. However, federal law dictates that if the residential unit was built prior to 1978, the landlord must provide a lead-based paint disclosure. Idaho does not limit how much a landlord may charge for a security deposit. However, state law does mention that a landlord must return the security deposit to the tenant within 21 days of them vacating the property. It may be returned as late as 30 days, but that must be specifically mentioned in the Idaho lease agreement. Create a free Idaho Lease Agreement in minutes with our professional document builder.